The project was initially announced in 2012. After myriad financial problems, the plan was suspended in 2015 and restarted in September. 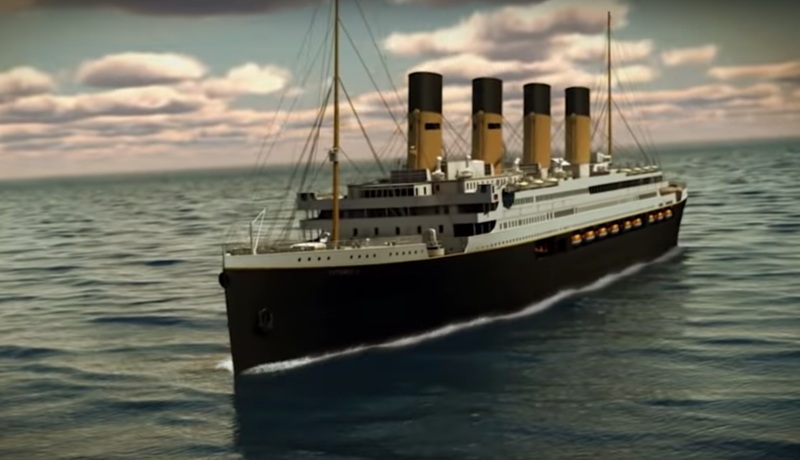 "Blue Star Line will create an authentic Titanic experience, providing passengers with a ship that has the same interiors and cabin layout as the original vessel, while integrating modern safety procedures, navigation methods and 21st century technology to produce the highest level of luxurious comfort," Palmer said in his statement. Palmer intends to make Titanic II's maiden voyage a two-week journey from Singapore to Dubai, followed by a trip to Southampton, where it would begin weekly trips between the U.S. and the U.K. during the summer months. The European headquarters of Blue Star Line will likely be in Paris, Palmer announced Monday, citing Britain's decision to leave the European Union. Its namesake famously sank in the Atlantic Ocean on April 15, 1912, after hitting an iceberg. But in a few years, fans of "Titanic" the film could have to opportunity to ride in the same ship where people fell in love with Rose and Jack. "Millions have dreamt of sailing on her, seeing her in port and experiencing her unique majesty," Palmer said. "Titanic ll will be the ship where those dreams come true."